The primary goal of Webxloo's web design team is to develop a visually appealing website that is consistent with your corporate image, and supports your business goals. We use flash selectively for impact, while keeping search friendliness in mind. We understand that to stay along with the velocity of forthcoming trends in web design businesses should grasp the every single advancement of various tools. Our highly experienced and knowledgeable designers take a look on your website’s performance and you will get a detailed analysis on the top issues that are preventing your website from increasing its online presence. With us you can increase your followers as well as their interaction within your website. Your website will be interesting to a wider range of people, not just those specifically looking for your products and services. Adobe Photoshop- graphics editing program which allows to crop, rotate, adjust color, and add artistic effects. 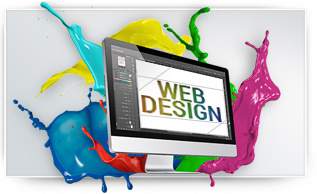 Enjoy visually appealing and creative designing services from Webxloo.